I want to believe... that there's no better place than home. Sadly, that's so far from the truth. Whenever I come home, I don't recognise the place anymore. The street is silent. Shutters sealed shut. "For Sale" signs draped over gates. Not a kid in sight, playing by the pavements or in the fields. Almost a third of people have moved out from the street I grew up at. Streets that I once cycled along with the other neighbourhood kids, hands off the handle bar, laughing and joking away. Streets that I once walked down with my brother, boots in hand, trudging to the nearby football field, all pumped up to hammer a hattrick or two. Streets that I once thought would never change. But change, it did. The neighbourhood isn't what it used to be. Instead of an upgrade, it's crumbling to dust. It's decaying. It's dying. It's not just my sleepy hometown. The epidemic is far-reaching, infecting every inch of Malaysia, my beloved country. "It's urbanisation," some may say, "It happens to even the best countries in the world, like the American Mid-Western rust-belt." Fair enough, let's look at our supposed crown jewels then. Kuala Lumpur? After decades of delay, we're only finally building a comprehensive public transportation system to connect the city and suburbs (and in typical third-world fashion, started deconstructing its facilities in less than a week). Putrajaya? It's a ghost town, devoid of greenery, hot as hell. 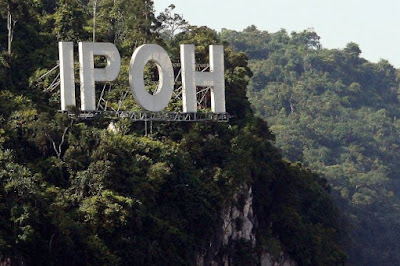 Johor Bahru? The Iskandar Project is on the brink of a property bubble propped up by speculative foreign investors. Yes, we are taking positive, baby steps. But that's not enough. Evolution is a fight of the fittest, and we must compete with neighbouring trees vying to scale higher and steal our sunlight. Once we were housemates, but Singapore has only grown taller and faster ever since they decided - quite smartly - to peel away from our deadweight. What happened? How could Malaysia - a more resourceful, more populated country - allowed itself to be beaten? We got lazy. Complacent. We keep stopping to gaze and admire at our past glories, while the rest of the world whizz by. We're stuck in time. We're left behind. The ills of our central governance has seeped through local communities. Or maybe it happened the other way round? Chicken or egg, the effect is dire. Corruption is everywhere - permeating through government offices to corporate boardrooms, perpetuated by gaffe-prone politicians and cynical industry leaders. One third of Malaysian university students are okay with corruption. I want to believe that we can stop the rot, and catch up. It's an uphill climb, but it's not too late to try. The top is rotten, the middle only seeks to displace the top by matching its rottenness. So where to start? From the bottom, of course. Start with kids, teach and inspire them through education. They're the future, after all. They're the trailblazers of tomorrow. They're our new hope. But it's still a daunting task. Having returned to my former university, I see familiar signs of stagnancy, if not decay. Things haven't changed much since I left. The teaching syllabus and styles are archaic. Technology is alarmingly poor. There are few who truly care about moulding minds. The sad truth is plain to see, but hard to swallow. Our educational system has failed us - in more ways than one. 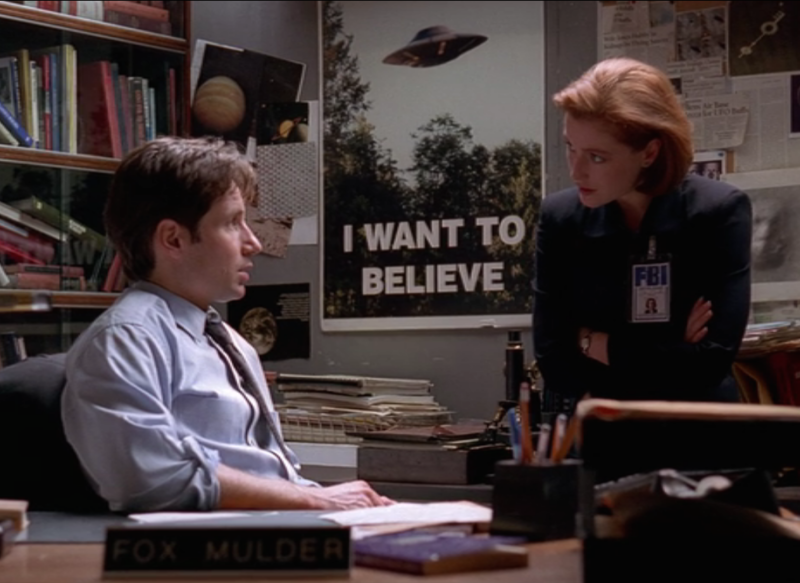 Credit where credit is due - "I Want To Believe" is a catch-phrase from the TV series The X-Files. Those very words can be found on a poster stuck to the wall of Agent Mulder's office. Why "I Want To Believe", and not simply "I Believe"? The keyword is want, not believe. Although Agent Mulder is obsessed about chasing aliens and monsters, his faith wavers from episode to episode when chases hit dead-ends. What drives him, ultimately, is not his 'belief' of what the truth is, but his 'desire' to find the truth, no matter the cost, no matter how pleasant or painful it is. Agent Mulder isn't dogmatic. He doesn't let himself be blinded by his beliefs. Agent Mulder wants to believe that the truth - whatever it is - will set us free. Agent Mulder: "The Malaysian government is controlled by aliens!" Agent Scully: "Nah, aliens can't be that dumb." Me? I want to believe that there's no better place than home. Maybe there is, maybe there isn't. But that's not the point. The point is that we should always strive to make our homes - wherever that is - a better place. Charity begins at home. If you can't change your home for the better, then forget about wanting to change the world. I want to believe in the power of grassroots education. It' virtually a remarkable and beneficial piece of data. i'm glad that you shared this beneficial statistics with us. Please stay us up to date like this. thanks for sharing. online custom essay writing service extraordinary blog has been shared by way of you keep posting more like this.